Does one have to be a Muslim in order to be a Sufi? Aren't there fundamental tensions and differences between Shari'ah (Divine Law) and the Sufi path? What exactly does the process of initiation or bai’at involve? The Sufi path doesn’t seem very practical in today’s world, so why should one pursue it? Although the fashion among some would-be Sufi groups is to claim that one does not have to be Muslim in order to be a Sufi, in point of fact, the claim of such groups is not warranted. Indeed, if one traces the historical origins of the Sufi mystical tradition, the path leads nowhere but to the household of the Prophet Muhammad (peace be upon him). Any other contention concerning the origins of the Sufi mystical tradition is confronted with a huge task of trying to hide, deny, evade or ignore substantial historical evidence. Not least among such evidence is the testimony of all of the great shaykhs of the Sufi path concerning the inextricable relationship which this path has with the beliefs, values, principles, practices, and observances of Islam. 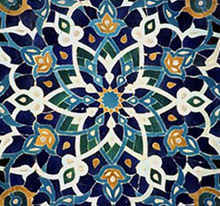 While a mystical or esoteric dimension has been inherent in human beings as long as we have been in existence, the specific set of teachings, principles, methods, techniques, and spiritual lineage, and so on, which are embodied by the original nature of the Sufi spiritual tradition are all rooted in the teachings of the Qur’an and the Sunnah of the Prophet Muhammad (peace be upon him). Of course, one can use the term ‘Sufi" in any way one likes, but any usage which cannot be reconciled with the historical realities out of which this term arose is in error -- at least as far as the proper application of the term 'Sufi' is concerned, and, perhaps, in other ways as well. Some people may derive a certain degree of spiritual benefit from following the teachings of those systems which label themselves as Sufi in character yet which have divorced themselves from the practice, teachings and observances of Islam. People may, if God wishes, derive benefit from such a system because to whatever extent Truth has been allowed to permeate a given set of teachings, then, the benefits of living in accordance with the Truth will be available for people to enjoy, irrespective of whatever else may be problematic about those teachings and practices. Nonetheless, in all fairness, the leaders of these alleged Sufi groups really ought to refer to their system and method as something other than the Sufi path. By continuing to usurp a name to which they are not entitled due to their negative attitudes concerning Islam and Muslims, they are attempting to trade, for purposes of illicit gain, on the spiritual integrity which stands behind the historical origins of this term without paying proper respect, and giving appropriate homage to, the sentiments and feelings of the shaykhs and saints of the Sufi path. This constitutes a major breach of the adab or spiritual etiquette of the Sufi path. Consequently, how can a group be prepared to refer to itself as 'Sufi' when it is not even prepared to observe the spiritual etiquette of that mystical tradition. Not really. Such tensions and differences tend to reside entirely in the minds and hearts of those who fail to grasp the nature of either the Sufi path or Shari'ah. A shaykh who is well-regarded by many people in so-called ‘orthodox' (whatever that means) circles has stated words along the following lines. According to this shaykh, the purpose of tariqah (i.e., the mystical path) is to enable the individual to understand, for the first time, the true nature of Shari'ah. Sufi masters are utterly devoted to the reality of Shari'ah. At the same time, they prefer to operate in accordance with the spirit of Shari'ah rather than as a function of some literalist, restricted, narrow and dogmatic understanding of just what Divine Law entails and what its purpose is. Sufi masters encourage, inspire, invite, and entice people to follow Shari'ah. They do so in the sort of compulsion-free atmosphere which God indicated in the Qur'an should surround matters of compliance with Shari'ah. They give people reasons, motivations and aspirations for seeking to submit themselves to Divinity. They don't try to coerce people into adherence to Divine Law through threats and warnings of dire consequences for those who fail to meet the expectations and demands of theologians. Essentially, initiation is a spiritual contract. On the one hand, the guide is indicating her or his willingness, if not complete commitment, to helping the seeker, in whatever ways are possible and permitted by God, to work toward realizing the nature of that person's true identity and essential spiritual capacity. On the other hand, the would-be initiate is indicating his or her willingness, if not complete commitment, to try to follow, and act in accordance with -- to whatever extent permitted by Allah, the teachings and counsel of the shaykh. There are no guarantees of salvation or mystical success which can be given at the time of initiation. Initiation is but a door of spiritual opportunity. Standing before this threshold is not enough. One must, God willing, take steps to cross this threshold of opportunity, as well as to explore the possibilities, face the challenges, and overcome the obstacles which one may encounter on the other side of the doorway of initiation. Practicality is a relative concept. If one is committed to greed, selfishness, hatred, jealousy, dishonesty, injustice, and so on, then, yes, charitableness, humility, love, compassion, honesty, and justice will be very impractical principles to incorporate into one’s life. On the other hand, if one is seeking a means of coping with the tendencies of the modern world to: destroy our peace of mind and heart, or to alienate us from our relationship with God, or to estrange us from our true selves, or to distance ourselves from one another, then the Sufi path is imminently practical. In short, when we value peace, harmony, identity, and love of God, then the world cannot supply us with what we need in order to be able to secure that which we value, and, consequently, the ways of the world do not offer very practical solutions to our spiritual difficulties.